Your search ends with us to find best suitable properties which give you peace of mind and best return on your investment. With more than 45 years of experience in developing quality real estate properties: commercial warehouses, industrial estates, housing communities, and apartments, we know you are in safe hands! COMMERCIAL WAREHOUSESWelcome to business opportunities that lead you to peak of success. In last 35 years, we have built more than 4 Lacs Sq. Ft. of quality construction in our various commercial warehouse schemes on National Highway # 8 in Aslali, Bareja. We are still continuing solidly with upcoming projects in prime locations on NH 8. Our customers are the most stress free since their storage needs are well taken care off in our warehouses with standard amenities like RCC roads, 24 hours water, electricity, security, pests removal etc. INDUSTRIAL ESTATESSince 1970s, we have developed more than 5 Lacs Sq. Ft. area of commercial estates/ buildings right on prime locations on National Highway # 8 in Aslali, Bareja. With the amenities like lifts, RCC Roads, 24 Hr. water, electricity, individual office parking, etc. HOUSING COMMUNITIESCome live and enjoy your life with family and friends in our Housing Communities. Since 1960s, we have constructed more than 5 Lacs Sq. Ft. of high class and luxurious housing communities at various prime locations in Ahmedabad. Take for granted: Our housing communities come with all utilities, common garden area, playing areas for kids, and more. 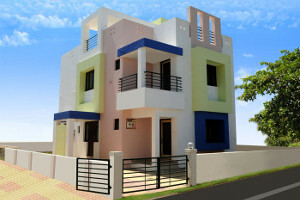 APARTMENTSCome live happy and peaceful life in our apartments, leaving all your worries. Since 1987 we have constructed high-rise luxurious apartments at posh locations in Ahmedabad. We provide amenities that you deserve and rates you love. Don’t miss living a joyful life. 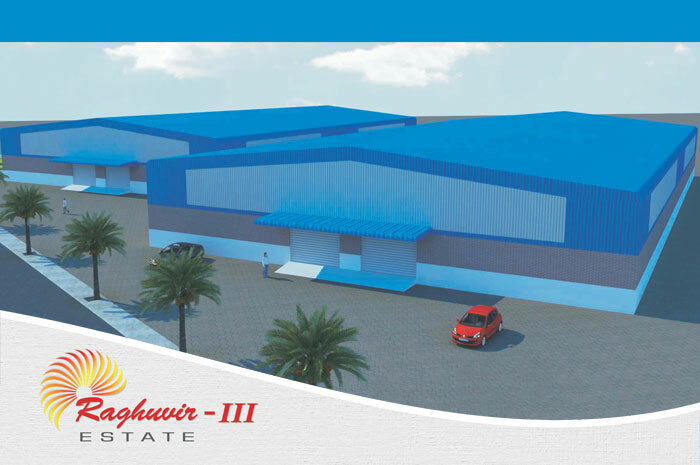 Built in 2017, Raghuvir IV Estate is a commercial warehouse estate with more than 1 lakh Sq. Ft area. 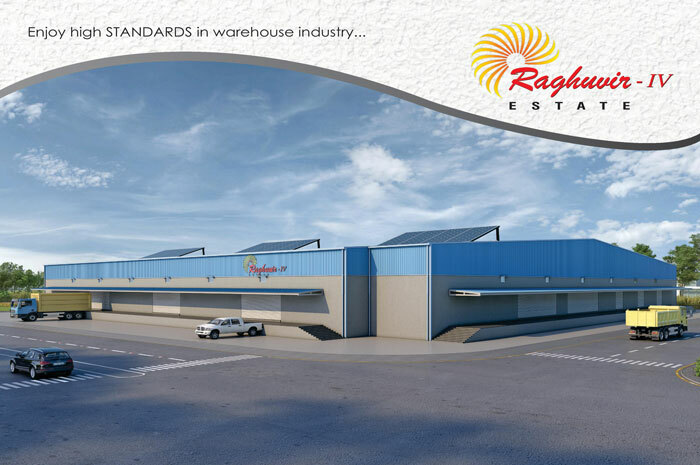 Built in 2013, Raghuvir III Estate is a commercial warehouse estate with built-up area of 60,000 Sq Ft. Built in 2008, Raghuvir Bungalows is a luxurious gated housing community built-up area of 35,000 Sq Ft. 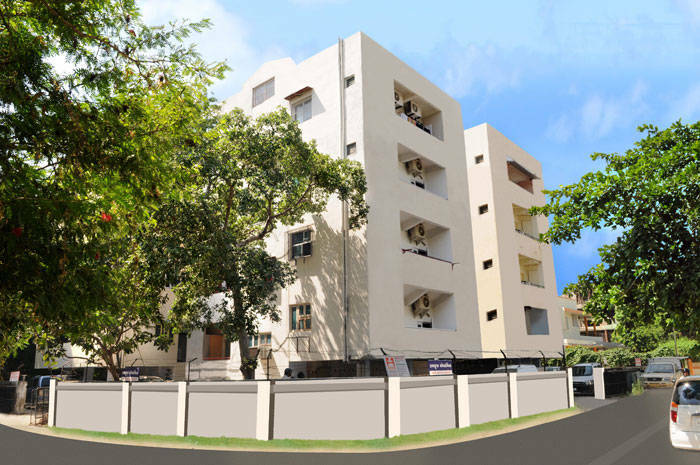 Built in 1990, Ramkrupa Apartments is a multistory residential building built-up area of 22,000 Sq Ft.